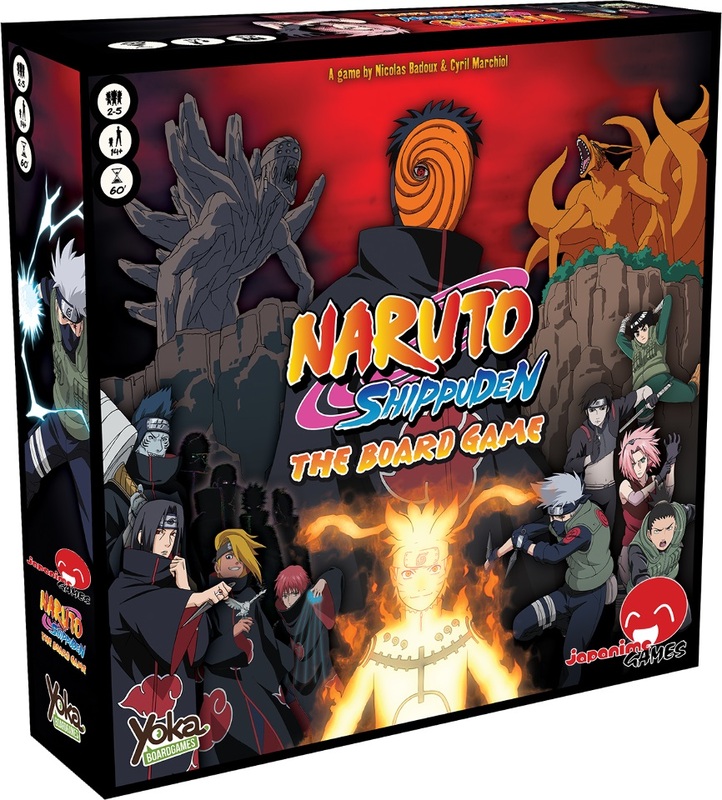 Naruto Shippuden: The Board Game is a cooperative game for 2-5 players. 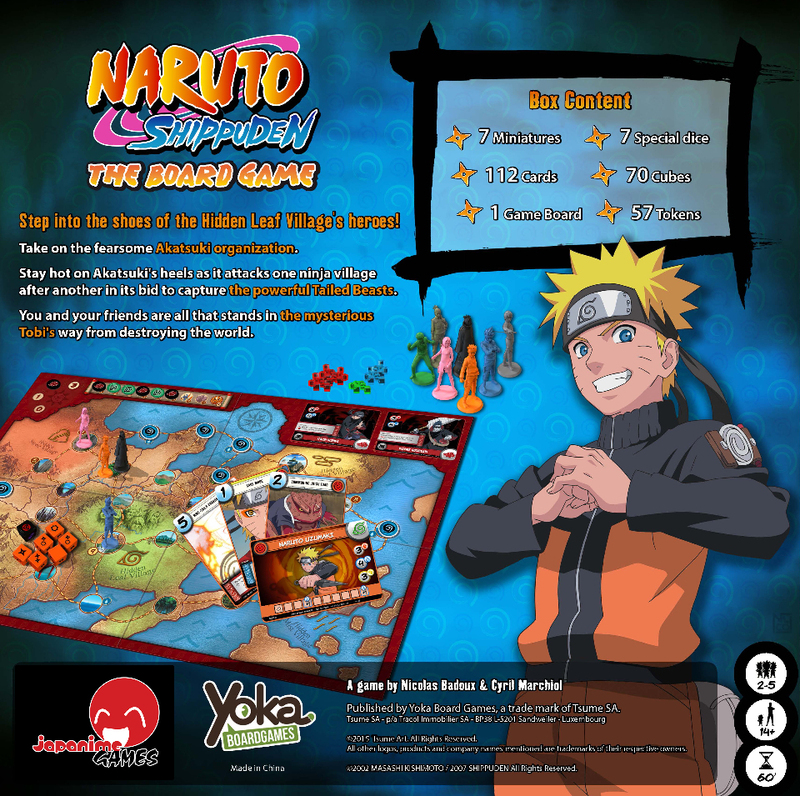 Players play one of the main characters fighting against the incursion of the Akatsuki to save the world from its menace! 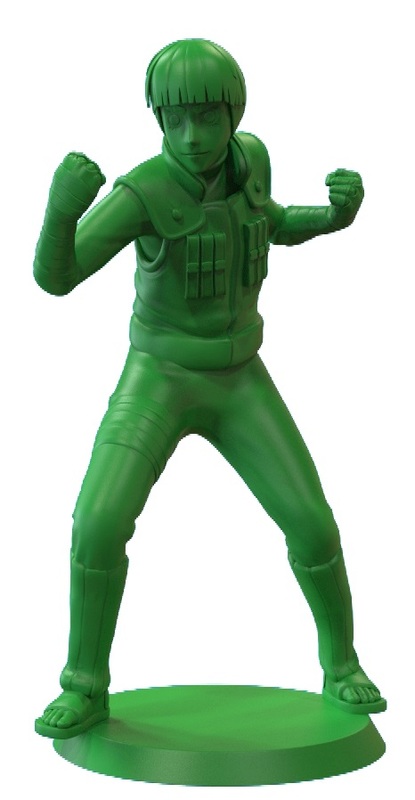 There are 3 levels of play and a large variety of enemies, making each game a unique experience. Featuring high quality components, solid game play, and the number one anime property, this game will be a great addition to any anime or board game collection! 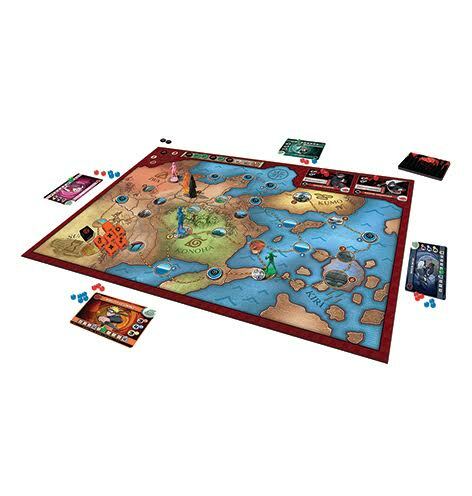 This game includes: 7 miniatures, 112 cards, 1 game board, 7 special dice, 70 cubes, and 57 tokens.